Centrally located in the heart of the Midlands, Birmingham is one of the UK's most important cities and is the biggest and most populous besides London itself. Home to no less than five universities, Birmingham is also home to the UK's biggest student population outside the capital, making student property investment in Birmingham a popular choice with investors. Birmingham dates back to Anglo-Saxon times, but remained a modest, medium-sized town for much of its history. 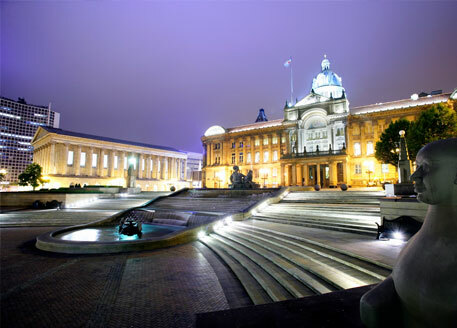 Around three centuries ago, however, Birmingham thrived amidst the Midlands Enlightenment followed by the Industrial Revolution and quickly turned into a major city of international importance. Today, it is the UK's second biggest and second most populated city, behind only London. It is home to more than a million people (3.7 million in its metropolitan area), including tens of thousands of resident students during university term times. 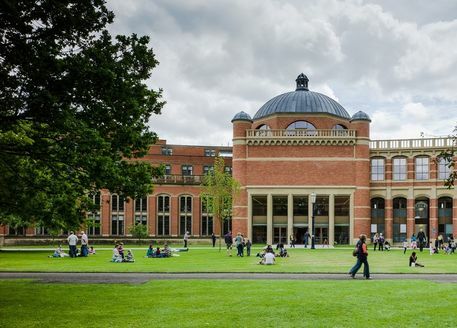 Five universities call the city of Birmingham home: the University of Birmingham is the largest, followed by Birmingham City University in a not-too-distant second place. University College Birmingham, Aston University and Newman University also collectively contribute well over 20,000 students to the city's undergraduate and postgraduate population, which is the largest in Britain outside the capital. It's more than just sheer number of universities that serves to attract so many young people to study in Birmingham. The quality of education on offer is also an important factor, securing the city as one of the UK's leading study destinations. The Times Higher Education awarded the University of Birmingham the title "University of the Year" in 2014, and various university rankings have placed it in the UK's top ten. While not as prestigiously-ranked as its neighbour, Birmingham City University attracts nearly as many students and numbers are growing with every intake thanks to its innovative approach to teaching and five Centres of Research Excellence. Student numbers across the UK have been growing for some years now, and have fully recovered from the dip that they took after tuition fears were almost tripled a few years ago. As the site of the UK's biggest non-London student population, Birmingham has faced a particular rush of new students each time September rolls around. As a cosmopolitan and multi-cultural city, it has also been well-placed to benefit from the recent increase in the number of international students choosing the UK as a country of study. Across most major UK markets, this has led to a dearth of accommodation, particularly high-quality, purpose-built student housing. Student heads outnumber student beds by a significant margin, and the high levels of demand this creates are especially evident in Birmingham. Major reports such as Savills' "Spotlight on Student Property" have highlighted the strong prospects that student property investment in Birmingham offers. With a large, undersupplied student market and especially strong demand for property that will offer comfortable living standards, investors who pick up good-quality properties can find tenants relatively easily and reap strong rental returns. The University of Birmingham started its life as Birmingham Medical School and Mason Science College until they merged and received the royal charter with University status. The University is a founder member of the Russell Group and the International group of research universities. The university has a student population of approx 17,000 undergraduate and 9,000 postgraduate students. The University of Birmingham was ranked 10th position in the UK by QS World University Rankings and it’s the 11th largest university in UK. Of students completing their degree 85% will receive a 2.1 or higher degree. The campuses provide libraries and many educational and social facilities for the students. The university’s main campus is situated 3 miles away in Edgbaston. During the 1960s the university underwent major expansion following a ‘master plan’ by Casson, Conder & Partners which included the Refectory and Staff House a bridge links the two buildings. After completion work started on Wyddrington & Lake Halls and the Faculty of Commerce and Social Science this was completed by 1965. The Selly Oak campus is a short distance from the main campus and is home to the Department of Drama Theatre Arts and the television show ‘Doctors’ is filmed on this campus. Engineering & Physical Sciences (chemistry, chemical engineering, electronic, mathematics, metallurgy and materials, physics and astronomy). Arts & Law (english, drama, history & cultures, religion, philosophy). Medical & Dental Sciences (cancer sciences, dentistry, clinical & experimental medicine, health & population sciences, immunity & infection). Life & Environmental Sciences (biosciences, earth & environmental sciences, geography, sport & exercise sciences and psychology). Social Sciences (Birmingham Business School – the oldest business school in England; education, government & society & social policy). Birmingham is a thriving city and has a lot to offer therefore is an ideal opportunity for the property investor to purchase ‘buy to let’ student accommodation.